A new programme with grants for the purchase of electric and plug-in hybrid cars and more has been launched for 2019. Anyone who is legally resident in Spain is eligible to apply, read on for more details. The Spanish Government has set aside 45 million euros for grants for the purchase of electric and plug-in hybrid cars, electric motorbikes and other vehicles. The scheme is called Plan Moves 2019. This year the money available will be distributed to each autonomous region in Spain, rather than being controlled centrally. Grants are awarded on a first-come, first-served basis until the end of 2019, or earlier if funds are depleted. Grant amounts are based on the type of vehicle and purchaser (private buyers, self-employed or companies. Car dealers should be able to arrange all the paperwork and, depending on the region, they may be able to check whether funding is still available. Cars must be either electric, plug-in hybrids or similar. Check with your local car dealer exactly which models are included. Grants of up to 5500€ per car are available. 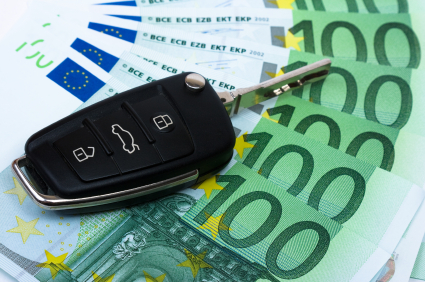 The car dealership, or manufacturer, must also provide a direct discount of 1000€. Each Autonomous Community in Spain will have a period of six months to study your paperwork and inform you of the outcome. Your car dealer should be able to help you with the paperwork. The actual amount you receive will depend on the vehicle classification as shown in the Royal Decree 72/2019. This year 100,000€ is also reserved for grants for the installation of charging points, both public and private, and will cover between 30%-40% of the cost. Check with your car dealer for more info. It must have had its ITV (technical inspection document) valid when the Plan Moves 2019 was approved (16 Feb 2019). Recharging will cost approximately 3€ (depending on your tariff).